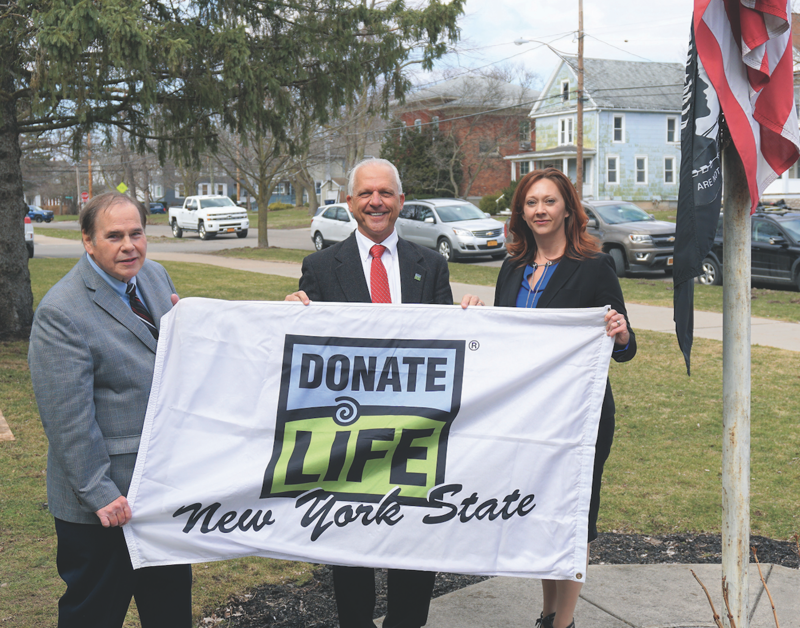 It’s the beginning of April, as the fresh spring air brings a renewed sense of life to Western New York, it brings with it National Donate Life Month. New York State has the third greatest need for donors in the United States, yet it has the secondlowest donor registry enrollment in the country. Only 32 percent of all residents age 18 and older registered to become organ and tissue donors, compared to the national average of over 50 percent. “One of the things I am most proud of under my leadership and hard work of our staff in ourDMV offices is that we have increased the registry rate from 46 percent to 50.8 percent with 85,982 individuals enrolled in the New York State Donate Life Registry successfully bringing Niagara County closer to being above the national average,” Niagara County Clerk Joseph Jastrzemski stated.